Blankets are typically made from a blend of different fabric styles which create different textures and thicknesses. A common blend is 85 percent acrylic and 15 percent polyester, which creates a light blanket that holds in warmth well. A problem that often faces this type of blanket is improper wash procedures, which can quickly shrink the blanket when washed the wrong way. The key is to use a light wash procedure that is still effective enough to thoroughly clean the blanket. Use a gentle wash cycle to clean your blanket. 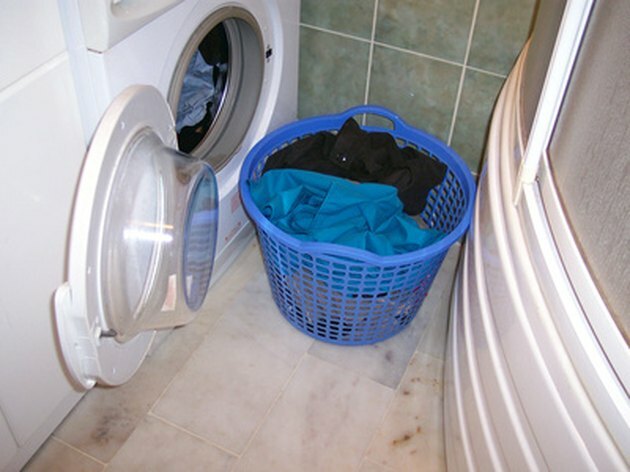 Place the blanket in your washing machine by itself. Turn on the machine with a cold water cycle and gentle wash setting for delicates. Pour one capful of your basic mild laundry detergent into the washing machine, again using the type of detergent used to clean delicates. Remove the blanket and either hang dry or place the blanket in your dryer using a cool tumble dry setting.